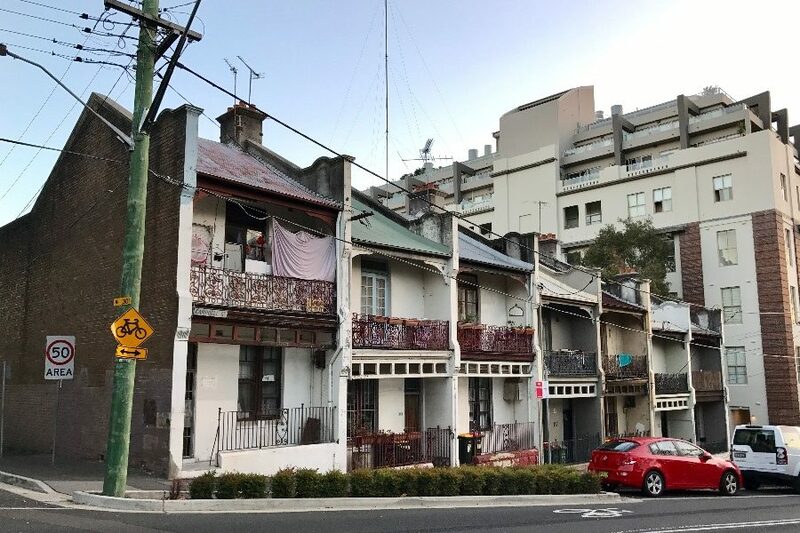 The NSW Government issued a series of documents in the lead up to the recent state election about the importance of Local Character and Future Local Character. When these documents are linked to the requirement in NSW for councils to develop Community participation Plans to demonstrate that the existing community has been involved in developing local plans we could see an anti-change attitude take off that will simply stop future growth. A number of politicians used the state election to tell communities that over development was coming fast and it would change your neighbourhood for ever. But if you voted for your friendly local politician they would save the day and stop all development. Behind this rhetoric was a warm support for the backyard, for the detached suburban home with its garden and trees. The threat coming was seen as being tall concrete towers that cast shadows occupied by very different types of people who never met their neighbours. Amazingly this rhetoric carried into the discussion paper on Desired Future Character where a section on height showed a three storey building next to a one storey building with a discussion on the transition between the two. There was nothing in the entire government document about any building over three storeys high. A community group reading the document would think that the maximum height in the Future would be three storeys. Yet across Sydney, Melbourne and Brisbane there are multiple towers of twenty or thirty storeys or, in CBDs, fifty storeys. And amazingly people want to live in these buildings. My concern is that when Australian cities are evolving into a high rise approach to living in key areas around transport nodes that the planning system is reverting back to the comfort of the detached house suburban model as the norm and encouraging communities to view future plans for growth from this perspective. What is needed from planning authorities is a message about diversity. That the suburbs are fine for lots of people but others want to live a more urban lifestyle where long commutes by car to work are not needed. There is a younger, Millennial demographic that wants urban living, they want a night time economy, they are happy to live in a smaller home and share amenities across their walkable neighbourhood. They enjoy getting coffee at the local cafe, eating at the local restaurant and using the local gym and swimming pool. No doubt they have a different lifestyle to the often older suburban dwellers. So local character can be defined very differently by different demographic groups. The question here for the planning system is that who defines the community when they are consulted on future plans. It seems that the retirees are the ones with time on their hands but they will not want much change. In all the documents I have seen from planning bodies the word “community” is used with no qualification. How are future communities involved for instance? What do younger people want in their area. Australian cities should promote diversity of Future Local Character with a range of options that can all co-exist in specific locations. Importantly planning bodies must talk about the future, about how to accommodate the inevitable growth that is coming. The Morrison government has proposed a slight reduction in immigration but it is to the same level that is happening now. Australia can accommodate reasonable growth but we need leadership in how this is done and planning documents that promote change rather than fall back on the language and diagrams that present the existing local character as the likely basis for the future.